The Best 50 Years: Recycle, Reuse and Repurpose! Morna McEver Golletz is the founder and CEO of the International Association of Creative Arts Professionals where creative arts entrepreneurs craft business success. Her weekly e-zine offers tips, techniques and inspiration to help you craft business success from your creative arts passion. 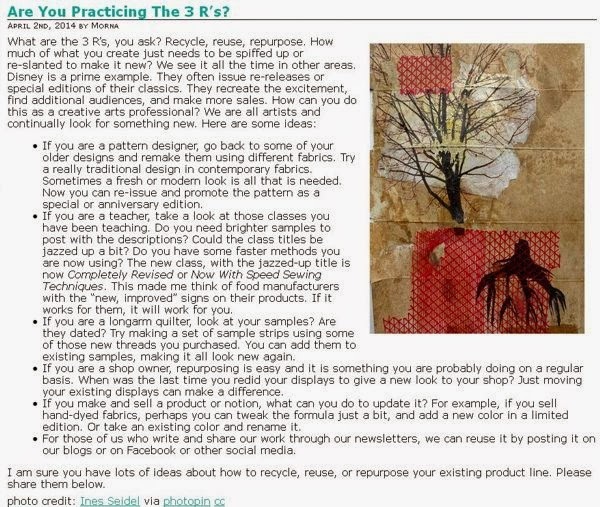 You can sign up for a FREE subscription at http://www.creativeartsprofessionals.com. Another Custom Memorial Quilt Finished!